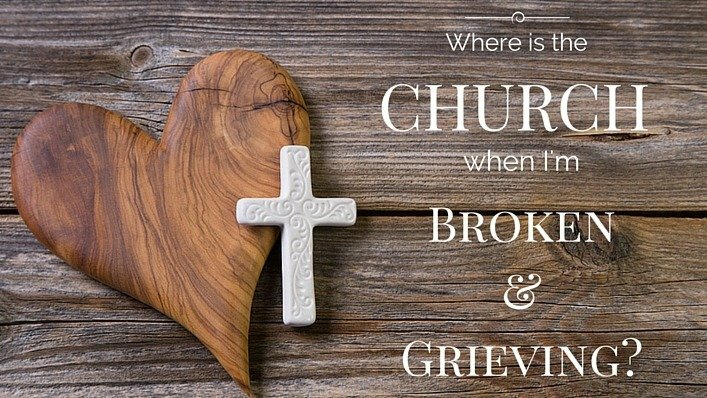 Where is the Church When I’m Broken & Grieving? It’s time for the church to start treating depression and grief like Jesus would—and love others through it, not tell them to get over it. “I am so low. I feel like I can’t breathe sometimes,” I whispered anxiously to the women’s Bible study leader. I was desperate for help. I had two children under the age of five. I was in the middle of a brutal divorce – a divorce that was already causing me shame and ostracism at church. I had lost twenty pounds in less than three months. I couldn’t sleep, physically feeling the weight of all the pressure and anxiety crushing me. I was a new Christian, trying so hard to figure all of this churchy stuff out. And when I read the Bible, I saw people just as desperate as I felt. I saw Jesus loving them, protecting them, standing up for them, teaching them, and leading them. So, as depressed as I was, I reached out in the only place I thought could really help – the Church. When I finally got the courage to admit how bad it was, I was directed to a resource, written and published by Christians, about anxiety and depression. It was obvious no one really knew how to talk to me about it, so a book made it easier. The advice in this book? Looking back, I know everyone in this situation was trying to help me. But depression was just not a subject that was ever really discussed. Moreover, it was not a subject that anyone really wanted to discuss. The second Christmas season after my brother-in-law died, my husband took my mother-in-law with him to church. He was excited to have the time with her, and thought that being in the company of the Church body would help with the intense grief. The message was about grieving in the holiday season, so it seemed like such a wonderful weekend for her to be there. Years later, my sweet mom-in-law and I still talk about that Sunday. 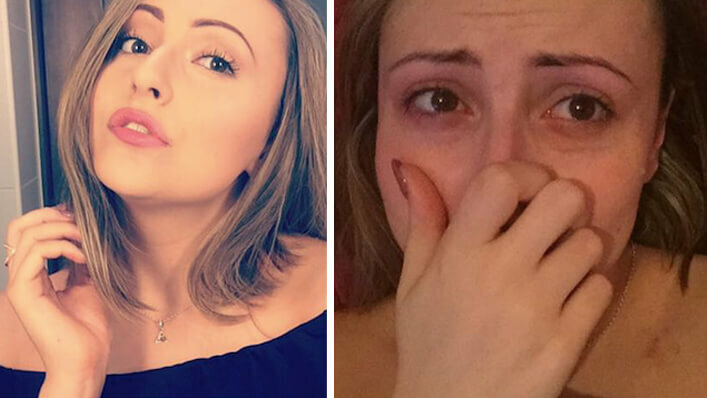 The sadness and the outrage. The heart breaking grief, and the idea that somehow Jesus couldn’t also be in the middle of it. The just plain meanness of it. How did we get here, Church? How did we go from the stories in the Bible – that are real, raw and messy – and somehow end up thinking that being a good Christian means plastering on a fake smile, patting hurting people on the back, and doling out platitudes like candy? How did we go from “loving our neighbor” to telling a grieving mother, and who-knows how many other hurting people, you just don’t love Jesus enough? In the account of Lazarus’ death, Mary is beside herself with grief. She clearly believes in Jesus and his power, and says so – “Lord, if you had been here, my brother would not have died.” Yet she still grieves. But what does he do instead? He grieves with her. Even though Jesus will restore and heal it all, he enters into the grief, and himself weeps. The past few months have been a time of grief and depression for me. The news of my son’s serious and chronic illness, on top of all we are trying to do to help prepare him for life with an autism spectrum diagnosis, has been a lot to take. Some days it just feels like it is all too much. The only thing that has helped, is feeling like Jesus is right there with me in it. And the only thing that has continually reminded me of his closeness, his love and his goodness? The ladies who enter into my grief with me. Who see my tears and start to cry themselves. Who hear my desperation, and point me back to the grace and mercy and love that is Jesus Christ. They are the body of Christ. They are the Church. I am so grateful that in this season, no one is telling me to be more holy. No one is responding with a caution to not be too sad. Instead, they have simply yet profoundly, acted like Jesus. We live in a world filled with brokenness and heart ache. To me, it seems appropriate to grieve that sometimes. It seems appropriate to feel the weight of it. Grief and pain remind us that we are meant for more, and that we belong to the one who promises to save the crushed in spirit – but not through our own actions, our praying harder or better disciplining our minds. I pray that we, the Church, walk closely with those who are grieving. I prat that we, the Church, cry out in one voice against the darkness that so easily creeps in. I pray that we, the Church, draw near to those who are brokenhearted, because that is exactly what Jesus does, over and over again. May we not be known for our to-do lists and platitudes. May we not be known for hard words and little emotion. May we not be known for our Christian pride. May we instead be known as exactly the place to turn to, when life feels like it is caving in. May we be known as the ones who draw near, who draw close, who live life side by side, and bear each others burdens. May we be known as the ones who look like Jesus.